It's time for a coffee break! 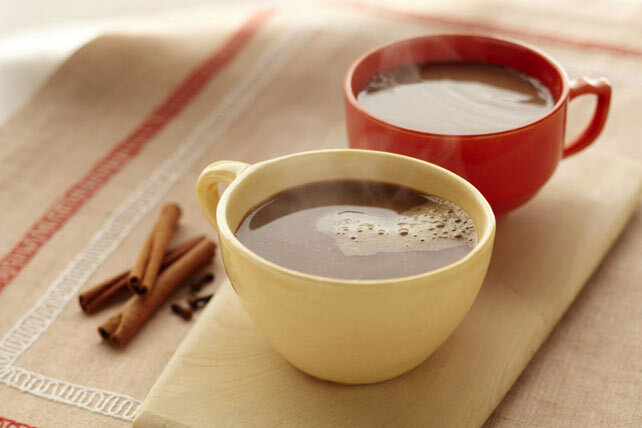 Instead of your usual, try our Caribbean Coffee recipe with a touch of pumpkin pie spice, coconut and cinnamon. Place coffee grounds and spice in filter in brew basket of coffee maker. Add water to coffee maker; brew. When brewing is complete, pour into 8 mugs. Microwave milk and extract in microwaveable container on HIGH 3-1/2 min. or just until steaming. Pour 1/2 cup into each mug. Sprinkle with cinnamon. Up your calcium intake by enjoying a serving of this hot drink. As a bonus, the skim milk provides a good source of calcium.